MUMBAI: The Grammy Award-winning, platinum-certified, international DJ, Tiësto has teamed up with Dzeko, Preme and multiplatinum-certified artist, Post Malone for a new hip-hop infused dance track entitled, Jackie Chan. 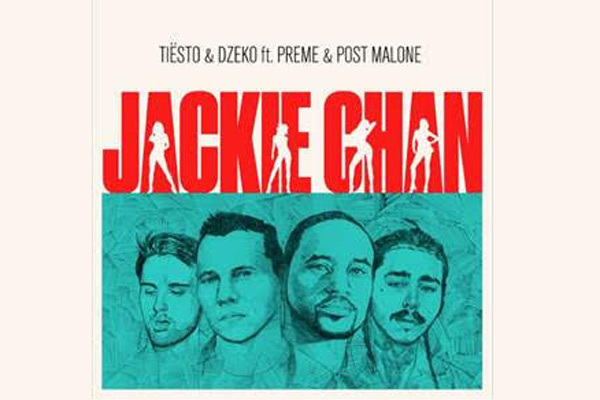 Produced by Tiësto, Dzeko and Preme, Jackie Chan is a light-hearted track with an irresistible beat and fun lyrics sung by Preme and Post Malone, just in time for summer. Tiësto continues to embrace new sounds and collaborations in 2018 with this release. Always known for working across genres, Tiesto’s Jackie Chan follows the success of BOOM, which has received more than 50 million YouTube views and over 100 million streams worldwide. The remix of BOOM was released in February with Atlanta trap royalty, hip-hop superstar, Gucci Mane, and artist/producer duo, Sevenn. Tiësto continues to bring his music to fans worldwide, headlining more than 40 festivals in 2018 around the globe. From Dubai to China, Mexico, Europe and the United States, his performances are a huge hit among his global fans. Having created history in 2004 for becoming the first DJ in the world to open Olympic games, Tiësto is the only DJ and producer to ever hold the titles of The Greatest DJ of All Time, courtesy of Mixmag, #1 DJ according to Rolling Stone, and The Godfather of EDM as proclaimed by Billboard. MUMBAI: When it comes providing big room house, Dutch veteran Quintino is among only a select group of renowned producers that you want in the driver’s seat.